For all your HP repair and service requirement, call us and be confident that your computer is handled with utmost care by expert, trustworthy and certified professionals. Reboot Computer Repairs Carseldine offers an award-winning HP repair services that are always available anywhere you are in Brisbane. We guarantee to make your computer work even after your products’ coverage expires. HP is considered to be one of the largest manufacturer of desktop and laptop computers including monitors and printers. Typically, HP stops supporting most products after 10 years. Reboot Computer Repairs Carseldine can help you in all your HP repair needs, whether you have a desktop or a laptop and no matter how old or new. Our service offers high quality yet affordable computer services and repairs for HP laptops and desktop computers in all of Brisbane! HP DC jack repair – Is your HP computer’s DC Jack loose and won’t charge? 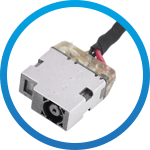 We can repair or replace your HP DC jack to ensure that you can charge and use your computer comfortably again. 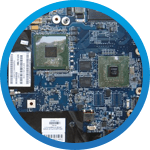 HP motherboard repair – Motherboard is one of the most essential part that makes your computer function. Damaged motherboard can make your computer stop functioning properly. Our experts at Reboot Computer Repairs Carseldine can easily fix or replace your motherboard making sure that your computer runs smoothly. We offer nothing but the best HP computer repairs in Brisbane! HP LCD repair and replacement – Broken LCD screen? Don’t worry! Bring it to us and we will have it replaced with genuine HP LCD display right away. HP backlight repair and replacement – Is your HP LCD screen shows a very dim and fainted display? Your HP computer’s backlight might need repairing. Make no mistake and give Reboot Computer Repairs Carseldine a call and we will have it repaired in no time. 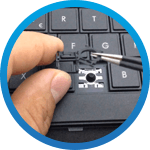 HP laptop keyboard repair and replacement – Our experts at Reboot Computer Repairs Carseldine can provide all kinds of repairs and services for your HP computer. In fact, we provide the best services in all of Brisbane! So whether you spilled coffee all over your keyboard or some keys won’t work, rest assured our experts can handle it. 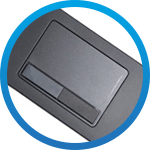 HP touch-pad replacement – Does your touch-pad suddenly stops functioning? 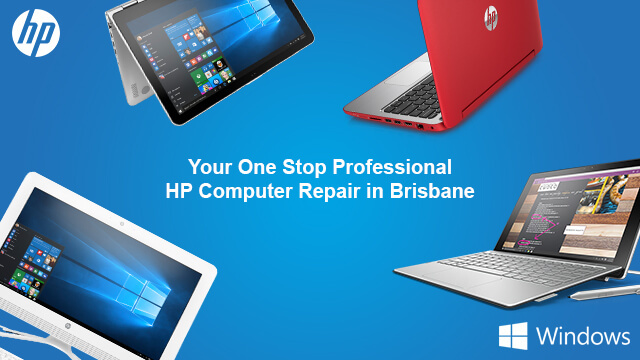 Reboot Computer Repairs Carseldine specializes in all kinds of HP touch-pad service and repair anywhere in Brisbane. Give us a call and we will be right at your service! 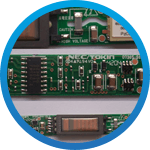 HP inverter repair – A bad display inverter can hugely affect your work and productivity. 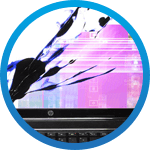 If your display is not performing good and needs a repair, call us and have our HP certified technician check and repair it for you. We can help you save your money without the need to buy a new LCD replacement for your screen. For all your HP repair and service requirement, please call us at (07) 3155 2002 and be confident that your computer is handled with utmost care by expert, trustworthy and certified professionals. HP virus and spyware removal – All forms of computer viruses and malwares are both harmful and dangerous for your personal computers. Our expert technicians are well experienced in cleaning all kinds of computer virus and malicious software in your HP computer. HP desktop and laptop upgrades – Reboot Computer Repairs Carseldine has plenty of desktop and laptop upgrades service that are guaranteed to be 100% compatible with your HP products. HP internet and network setup – From your most common HP desktop or laptop internet and network issues up to the most complex ones, our expert professionals are here to help. 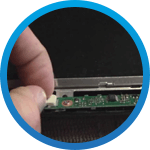 HP data and file recovery – Our data and file recovery service is available for both desktop systems and laptops and provides extensive data recovery including forgotten computer passwords. Custom built HP computer – We can modify and upgrade your HP computer to your heart’s desire! Just give us the right specifications and we will make sure you have a brand new custom built HP computer in no time. Workshop repair service – Our workshop is open 7 days a week from 7am up to 10pm and even on holidays. Be sure to give us a call at (07) 3155 2002 so we can prioritize your visit schedule. Our service is guaranteed to have no call out fees ever! Onsite services – Reboot Computer Repairs Carseldine offers onsite services so you don’t have to leave your home or your workplace. We will bring our services to you! Just give us a call and we will be right at your service. Remote services – Our expert technicians can offer remote service too! All you have to do is download a software that will allow us to access your computer remotely with no extra cost.